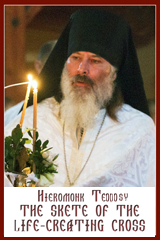 The Universal Exaltation of the Precious and Life-Giving Cross – Sept 14. Verse 1 (Soloist): The Lord reigns, let the peoples tremble; He is enthroned upon the cherubim, let the earth quake (Ps 98:1). Verse 2 (Soloist): Great is the Lord in Zion and supreme above all peoples (Ps 98:2). Verse 3 (Soloist): Let them profess Your great name for it is awesome and holy (Ps 98:3). Entrance Verse (Soloist): Exalt the Lord our God, and bow in worship at the footstool of His feet for it is holy (Ps 98:5). 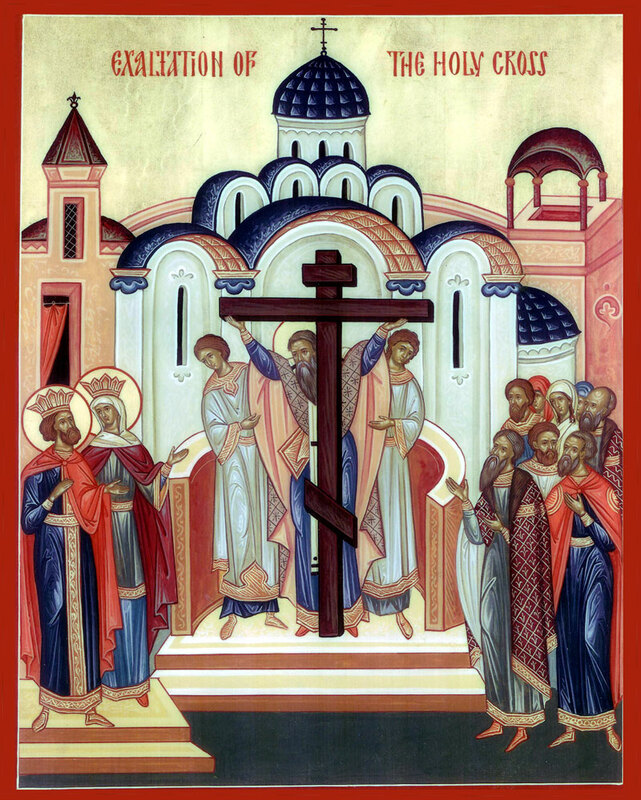 Instead of “Holy God…”: To Your Cross, O Master, we bow in veneration, and we glorify Your holy Resurrection. and the discernment of the discerning I will thwart.’ Where is the one who is wise? Where is the scribe? Where is the debater of this age? Has not God made foolish the wisdom of the world? For since, in the wisdom of God, the world did not know God through wisdom, God decided, through the foolishness of our proclamation, to save those who believe. 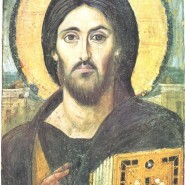 For Jews demand signs and Greeks desire wisdom, but we proclaim Christ crucified, a stumbling-block to Jews and foolishness to Gentiles, but to those who are the called, both Jews and Greeks, Christ the power of God and the wisdom of God. Gospel: (John 19:6-11,13-20, 25-28, 30-35): At that time, after the high priests and elders decided to put Jesus to death, they led him to Pilate saying, “Crucify him, crucify him!” Pilate said to them, ‘Take him yourselves and crucify him; I find no case against him.’ The Jews answered him, ‘We have a law, and according to that law he ought to die because he has claimed to be the Son of God.’ Now when Pilate heard this, he was more afraid than ever. He entered his headquarters again and asked Jesus, ‘Where are you from?’ But Jesus gave him no answer. Pilate therefore said to him, ‘Do you refuse to speak to me? Do you not know that I have power to release you, and power to crucify you?’ Jesus answered him, ‘You would have no power over me unless it had been given you from above; therefore the one who handed me over to you is guilty of a greater sin.’ When Pilate heard these words, he brought Jesus outside and sat on the judge’s bench at a place called The Stone Pavement, or in Hebrew Gabbatha. Now it was the day of Preparation for the Passover; and it was about noon. He said to the Jews, ‘Here is your King!’ They cried out, ‘Away with him! Away with him! Crucify him!’ Pilate asked them, ‘Shall I crucify your King?’ The chief priests answered, ‘We have no king but the emperor.’ Then he handed him over to them to be crucified. So they took Jesus; and carrying the cross by himself, he went out to what is called The Place of the Skull, which in Hebrew is called Golgotha. There they crucified him, and with him two others, one on either side, with Jesus between them. Pilate also had an inscription written and put on the cross. It read, ‘Jesus of Nazareth, the King of the Jews.’ Many of the Jews read this inscription, because the place where Jesus was crucified was near the city; and it was written in Hebrew, in Latin, and in Greek. And that is what the soldiers did.